On March 18 this year, a 49-year-old woman was struck and killed by an Uber vehicle in self-driving mode in Arizona, US, in what is thought to be the first death involving an autonomous vehicle and a pedestrian. The crash caused Uber to halt its testing program for self-driving cars, as questions over the safety of autonomous technology loomed large. But the global push for driverless vehicles has rumbled on. This week, Uber resumed its activities, putting its self-driving fleet back on the roads in Pittsburgh, PA – this time, being driven manually by the company’s so-called “mission specialists” for the purposes of data collection and map updates. While the wheels are in motion when it comes to the technology, what remains less clear are the issues around liability: who is responsible when a self-driving vehicle is involved in a collision? What will happen to the traditional insurance policy? The UK has its foot on the gas when it comes to autonomous technologies, with a plan being put in place by the government to get vehicles on its roads as soon as 2021. This month, it took another step towards ironing out some liability issues with the passing of the Automated and Electric Vehicles (AEV) Act. The legislation puts a regulatory framework in place that paves the way for insurers to cover automated vehicles. According to the UK government, the act brings automated vehicle insurance in line with “longstanding motor insurance practice,” ensuring that motorists are covered both when they are driving, and when the driver has legitimately handed over control to the vehicle. Under the act, when a technology failure causes an accident, insurers will have the right to recover costs, preventing drivers from being unfairly punished for an accident that they couldn’t have prevented. But the bill fails to close some holes, including insurers’ access to post-crash data – which will likely be critical to establishing fault following a collision. “While we welcome the act, the legislation fails to address a number of key issues such as data and insurance recoveries,” said Kurt Rowe, associate at UK law firm Weightmans. Rowe encouraged insurers and manufacturers to collaborate on the “use, access to, and sharing of the data” collected by driver assisted and automated vehicles, to ensure that insurers have a clear and transparent understanding of the cause of an accident – especially when the vehicles are driven autonomously. Patrick Hayward, consultant at Altus Consulting, told Corporate Risk and Insurance that while the nature of motor insurance will change over time, this will be a staged process as we move towards greater levels of automation. 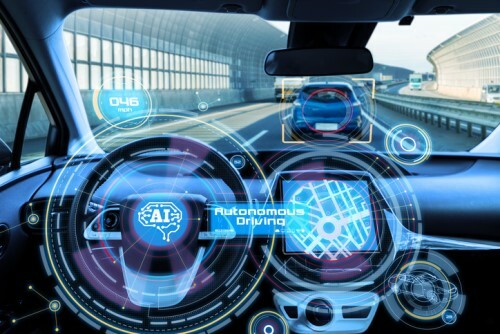 “Insurance policies are likely to evolve before we reach the stage of full automation, with the ‘product liability’ element becoming more central to the application of the contract as ordinary vehicles are phased out,” Hayward said. Vehicle owners will be obligated to ensure that their vehicle software is properly maintained, and responsibility for vehicle failure may not, therefore, always lie with the manufacturer, according to Hayward. “This point could be particularly relevant for accidents caused by third party hackers, and insurers will need to decide whether to exclude such incidents where there has been a failure to update the cyber security system,” he said. Meanwhile, the end-point of full automation needs to be seen “in the context of changes in ownership models,” and the likelihood that there will be a significant proportion of driverless cars used on a subscription basis rather than full ownership. “In this scenario, it may only be the owner that needs to take insurance, in order to be covered for manufacturing faults and failures to maintain software. As car sharing models develop, however, the industry should become better placed to handle this challenge. We are already starting to see this with carshare services including cover as part of membership, and providers offering usage-based policies that aligned with the different elements of a sharing economy,” Hayward explained. In the interim period, where highly autonomous vehicles will be on roads alongside vehicles without automation, liability disputes are likely to become “more complex” as they involve arguments around vehicle failure, driver fault, and owner’s failure to properly maintain.